Premium hand blown 1200ml Borosilicate glass container that is heatproof and strong yet lightweight; Large enough for 4 to 5 cups of tea. 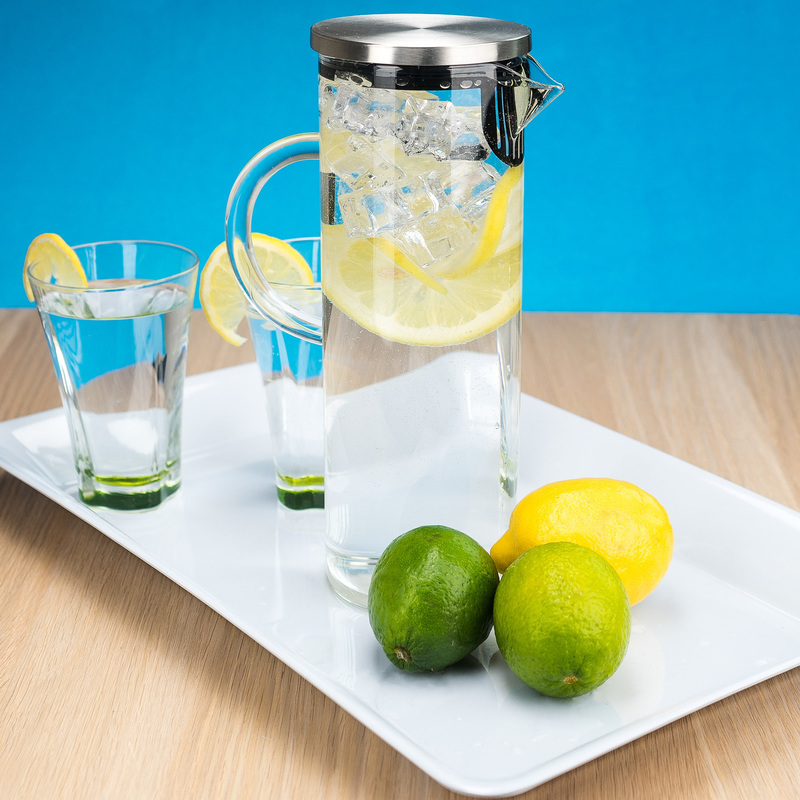 SINGLE OR MULTIPLE SERVINGS With its 9cm mesh you can have a delicious single serving of tea, IE 1 CUP. NO SPILL WITH SECURED TOP - the cover was deliberately created to stay secured when pouring tea, no mess yet it's easy to remove when adding tea. Unique tea pot design allows you to see the tea changing colors. LOOKS BEAUTIFUL ON YOUR TABLE - like all of our products, we ensure they look stunning. Your teapots insulated, chrome metal frame is built to last. Easy to wipe clean and durable for many years of delicious cups of tea. 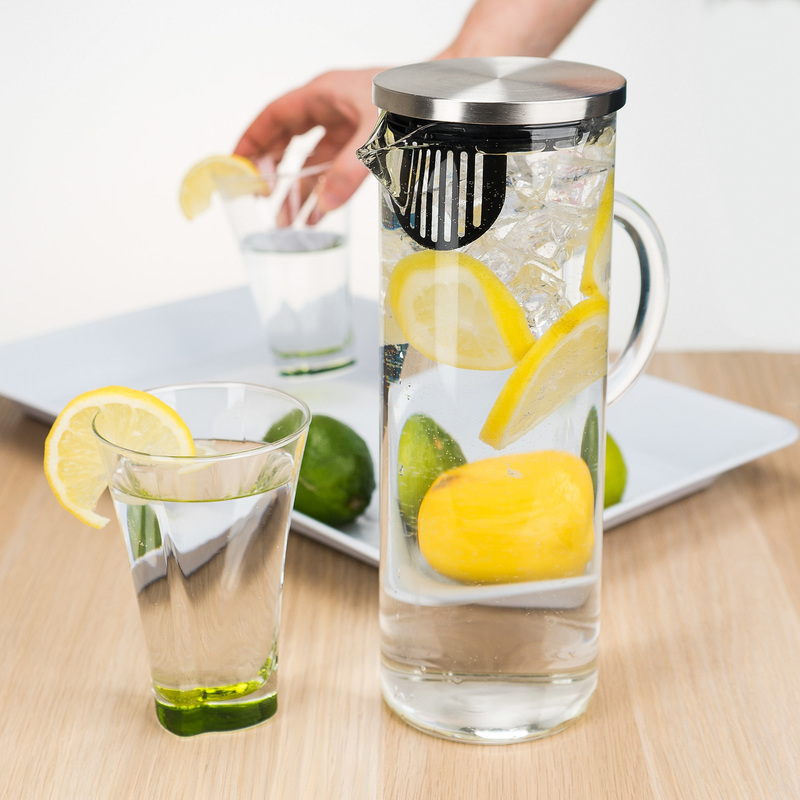 Includes removable 18/8 stainless-steel mesh infuser insert for steeping loose tea leaves. 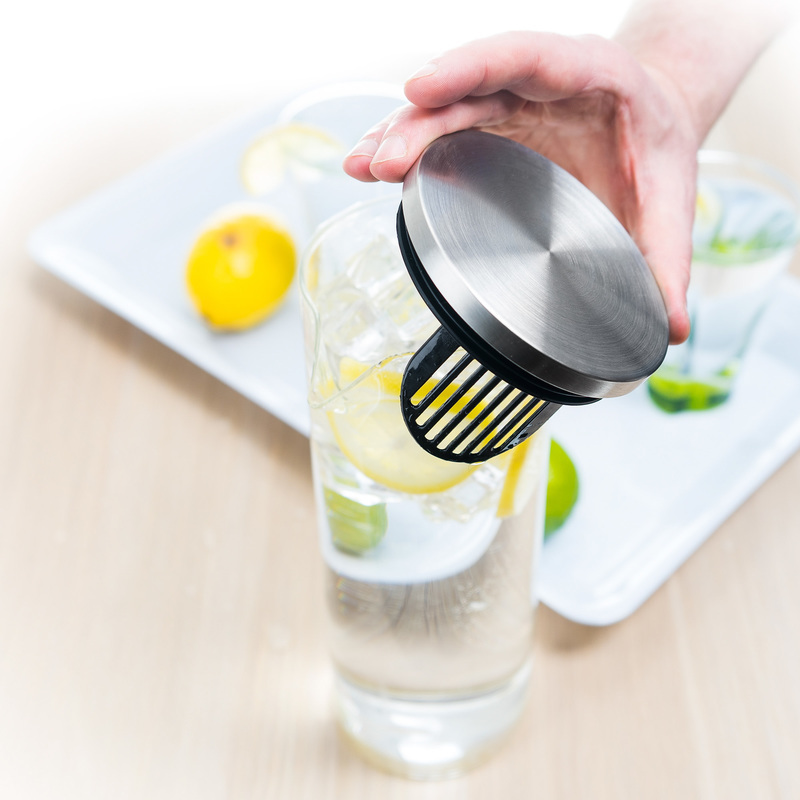 Mesh infuser is rust-free with impressive design. Lovely matching black tea cozy with zipper (can be machine-washed) to keep your tea hot for an extra-long time. No need for reheating. 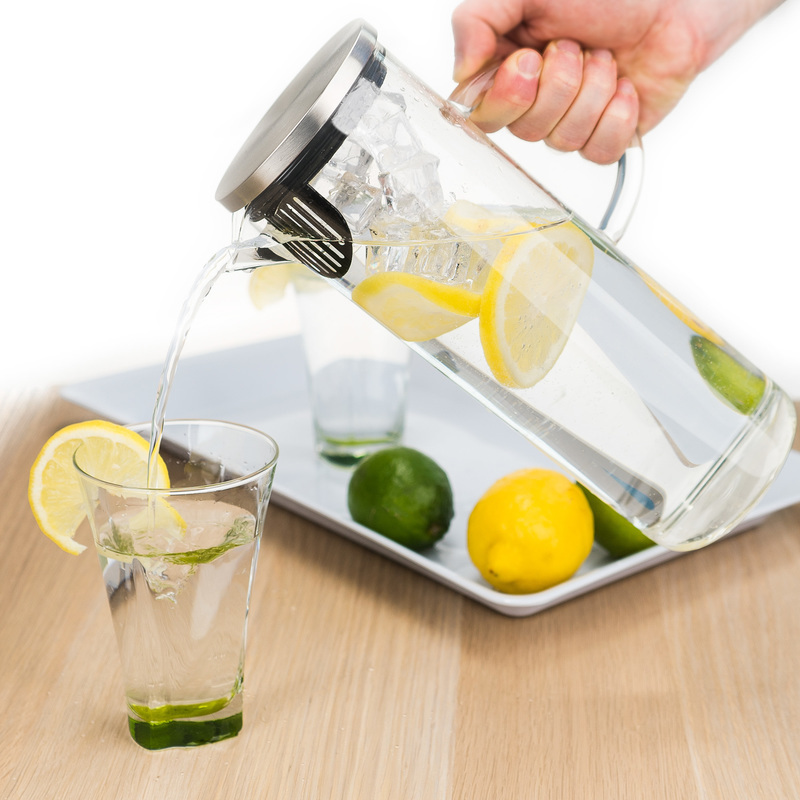 Contemporary stylish design resists stains and odors, plus it's dishwasher safe and easy to clean. ORDER TODAY! 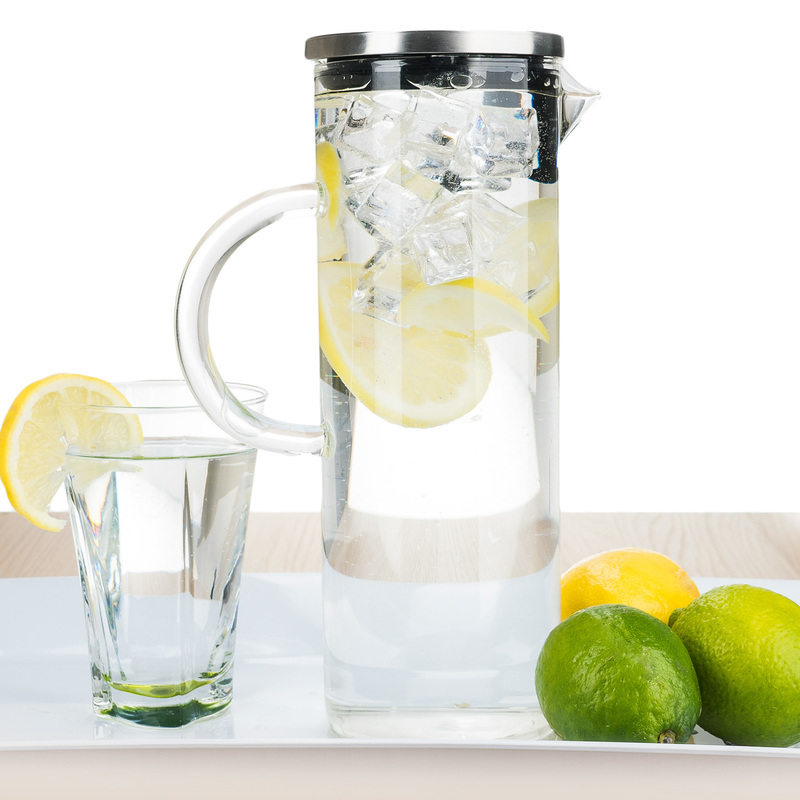 You will absolutely LOVE your new Elegant Chill Water Pitcher!